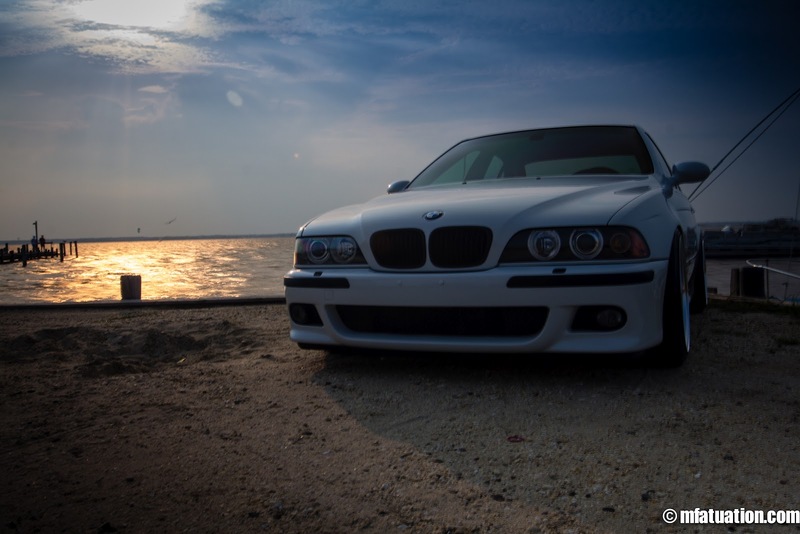 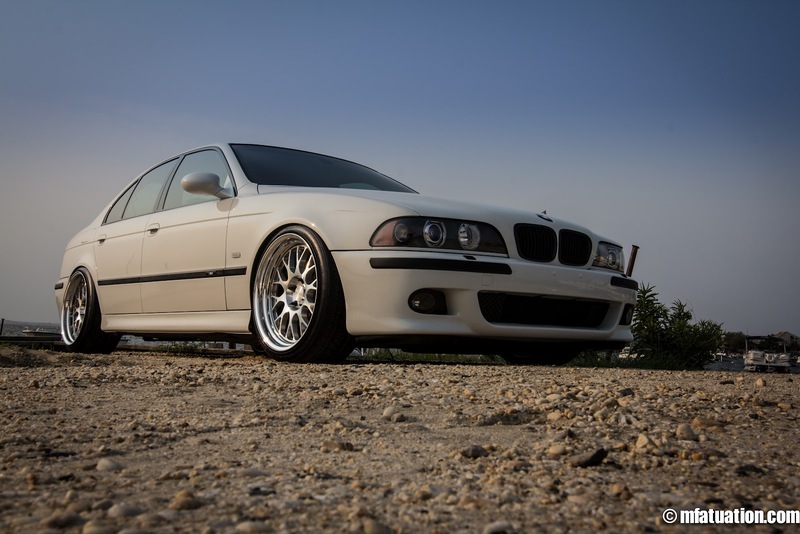 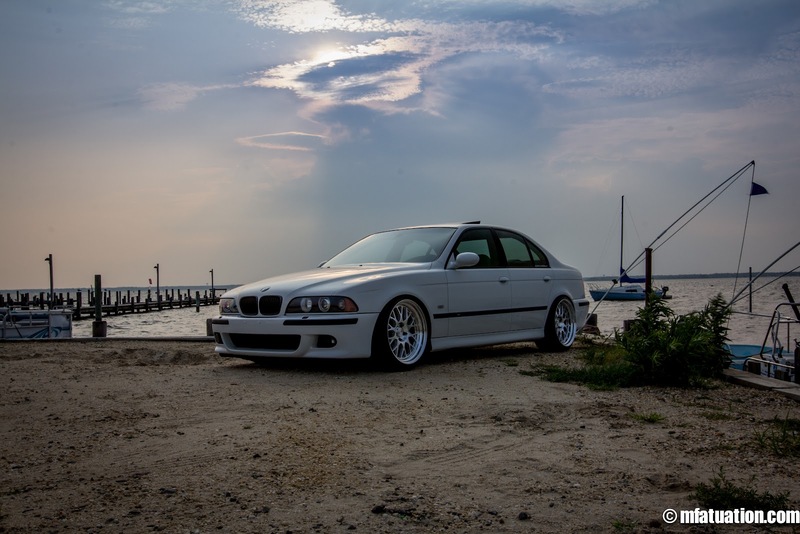 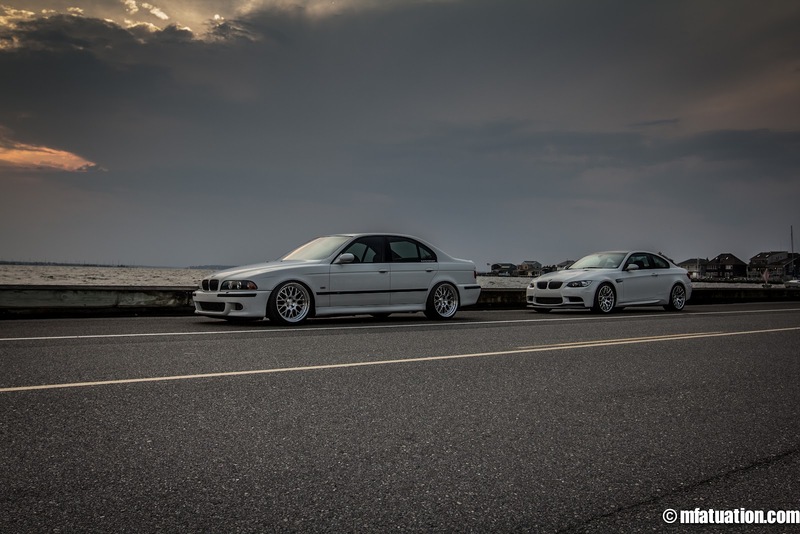 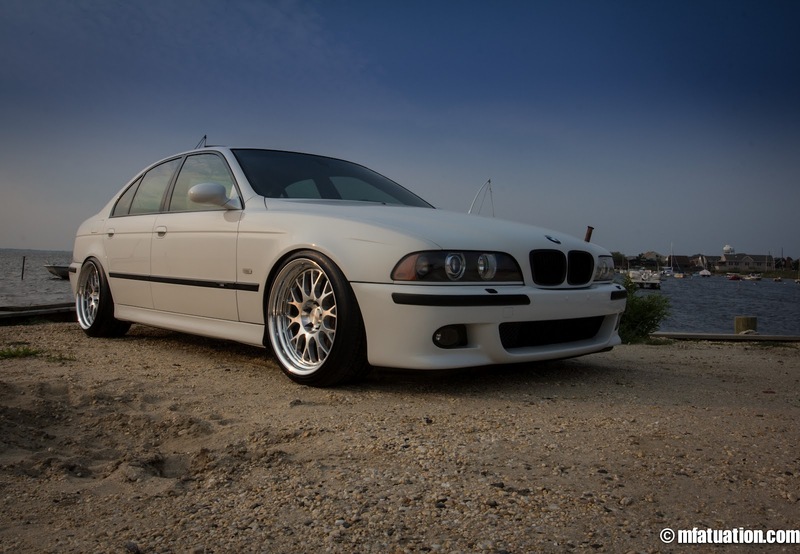 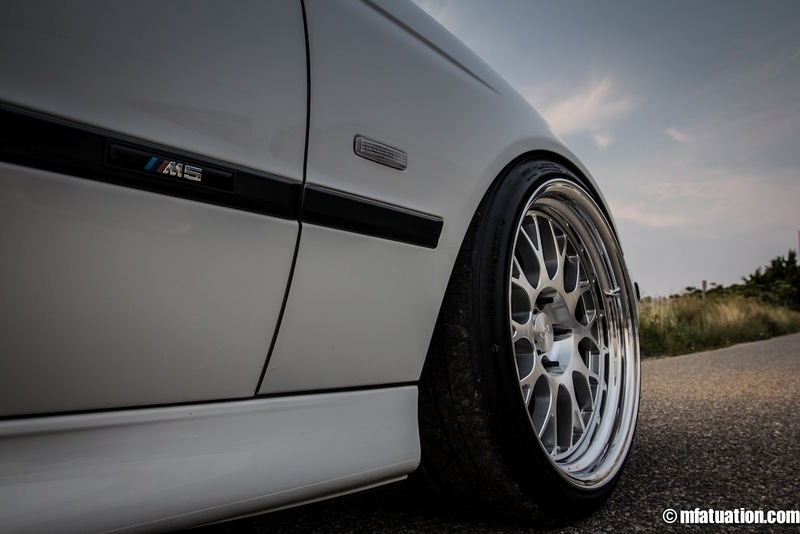 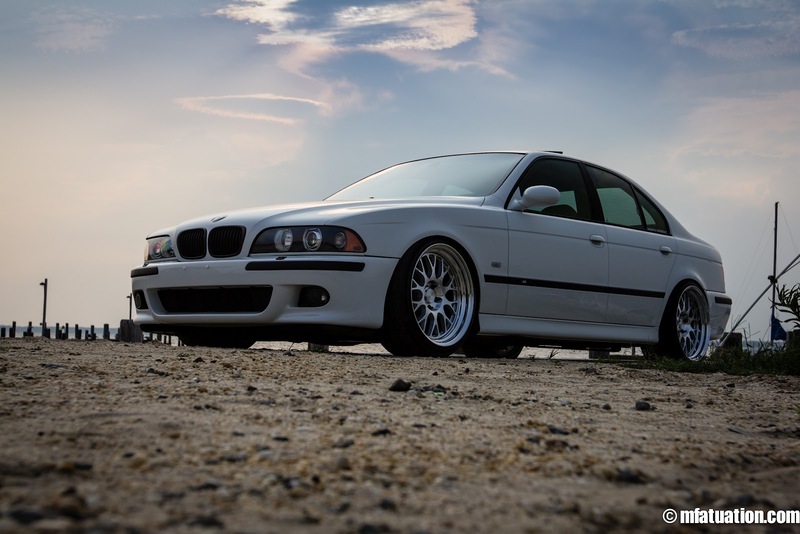 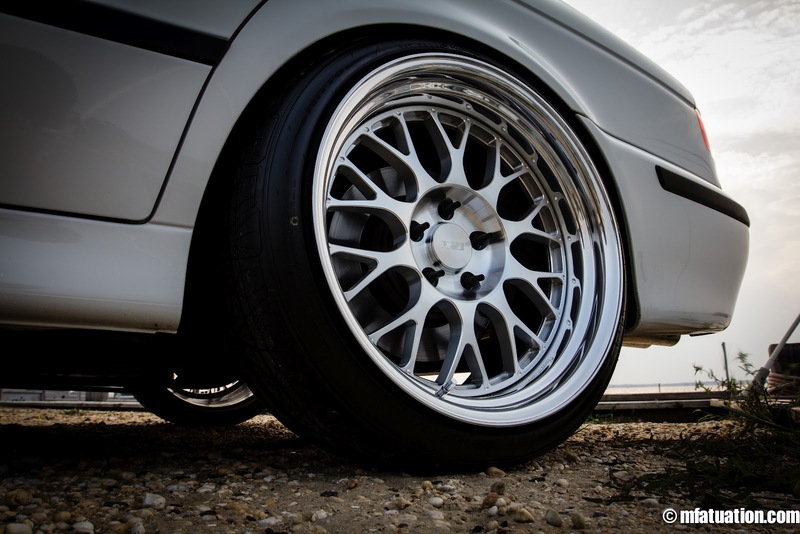 Greg, the owner of the pristine 2003 Alpine White M5, first lowered his car on Bilstein PSS9 coilovers. 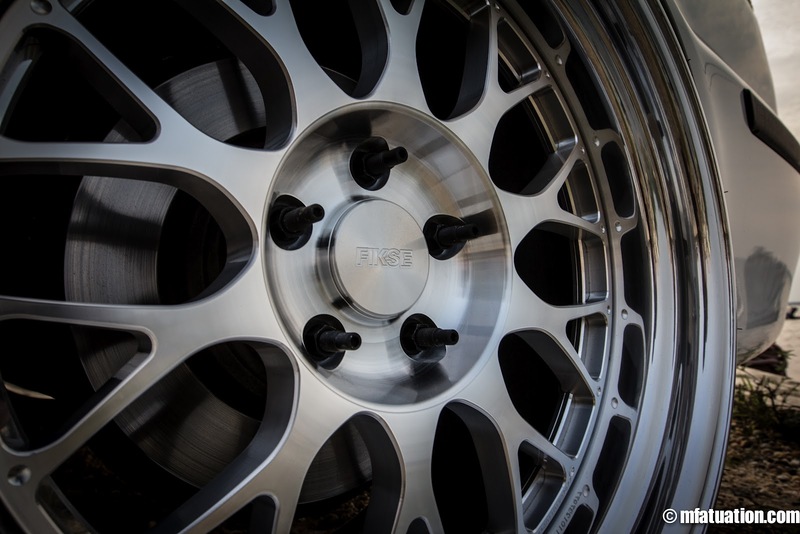 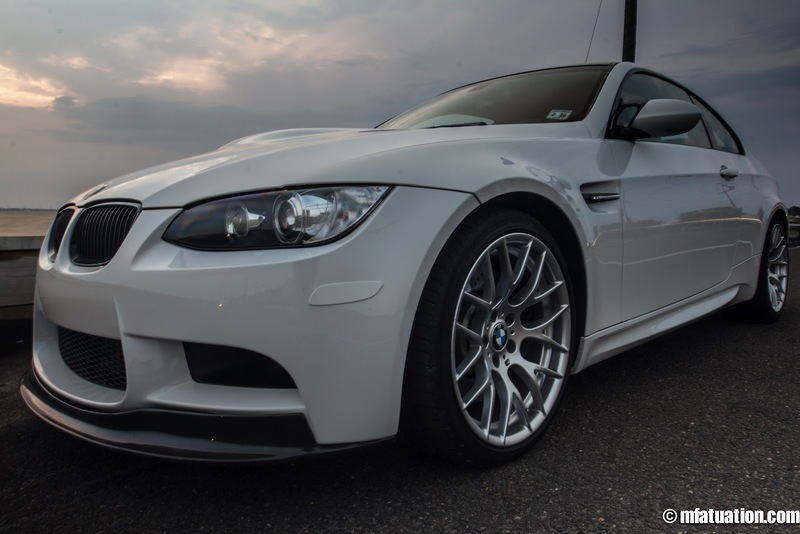 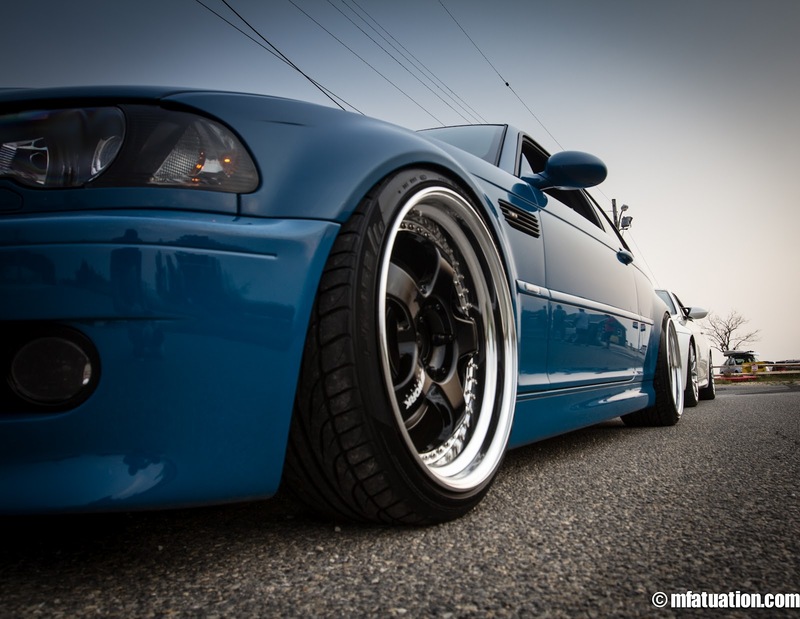 He then ran his stock M5 wheels while waiting over two months for his custom ordered Fikse Profil 10s. 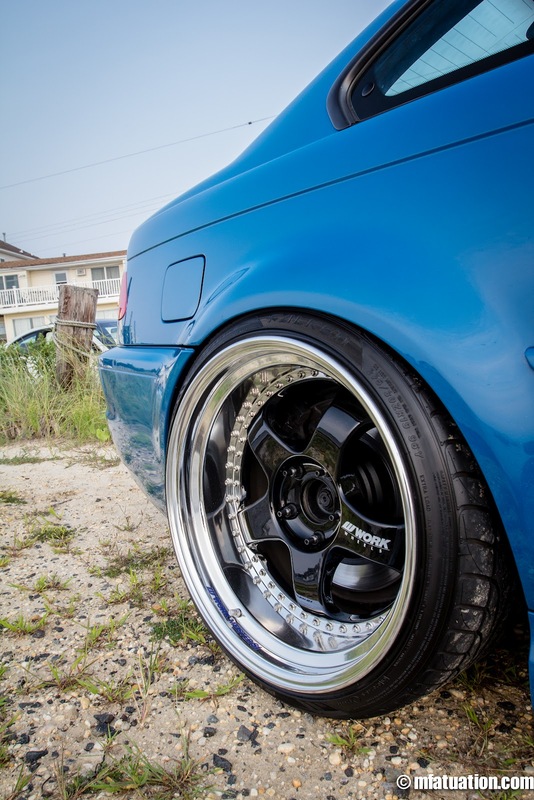 He’s running 19×10 et20 up front with a 12mm spacer, and massive 19x11s out back with 10mm spacers. 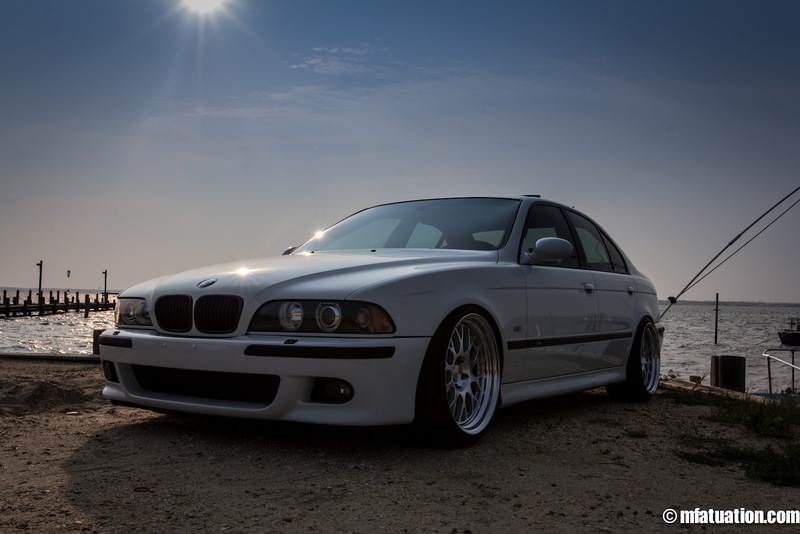 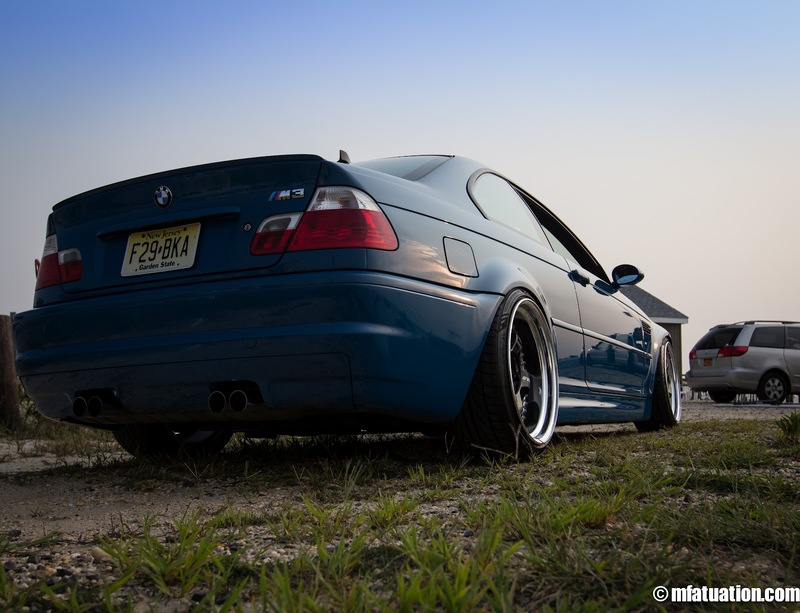 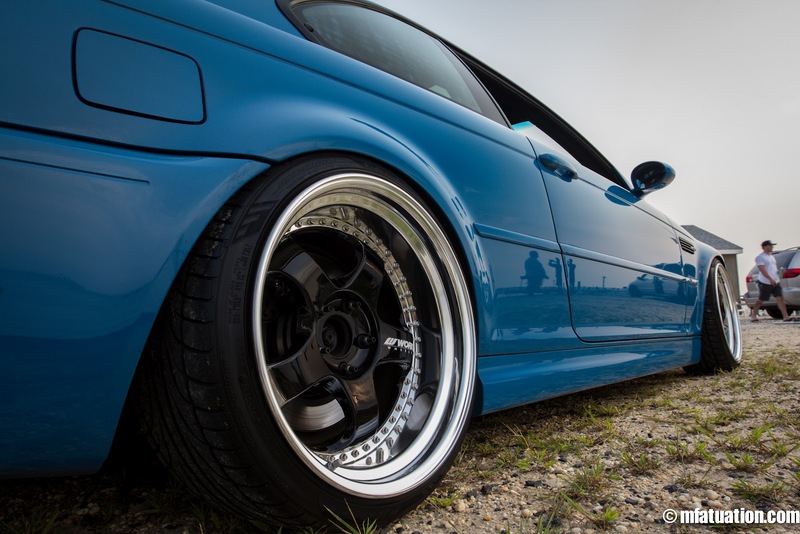 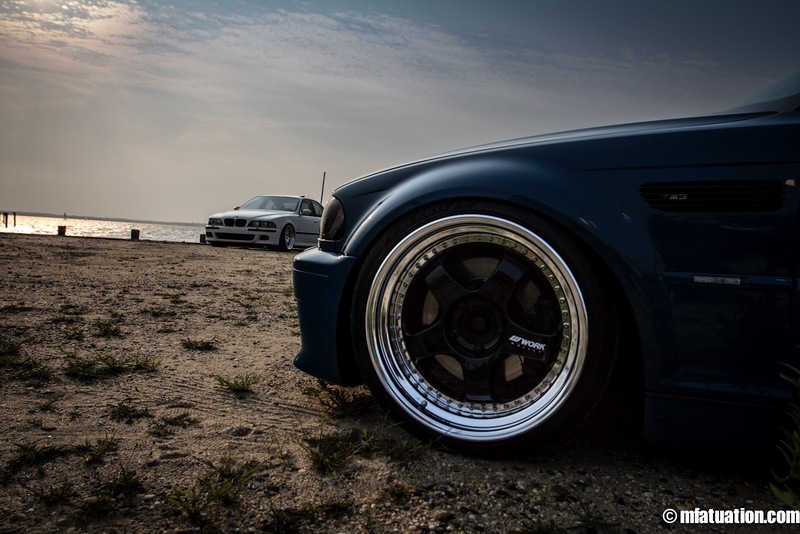 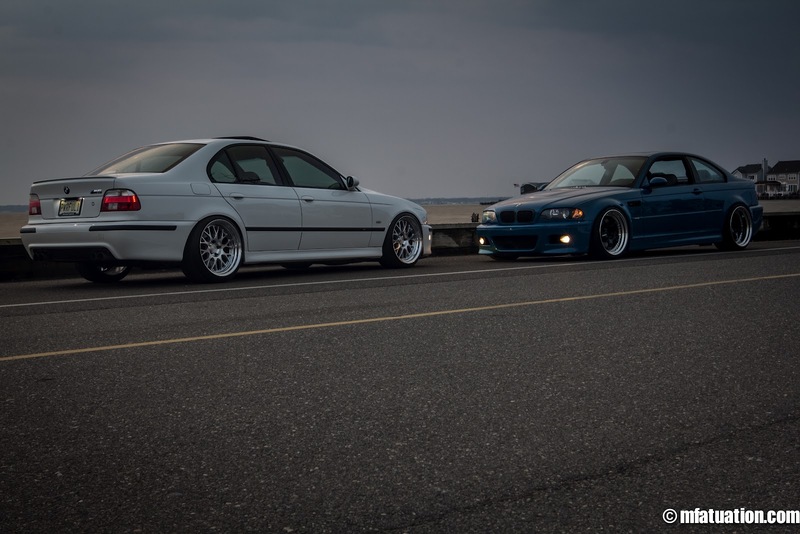 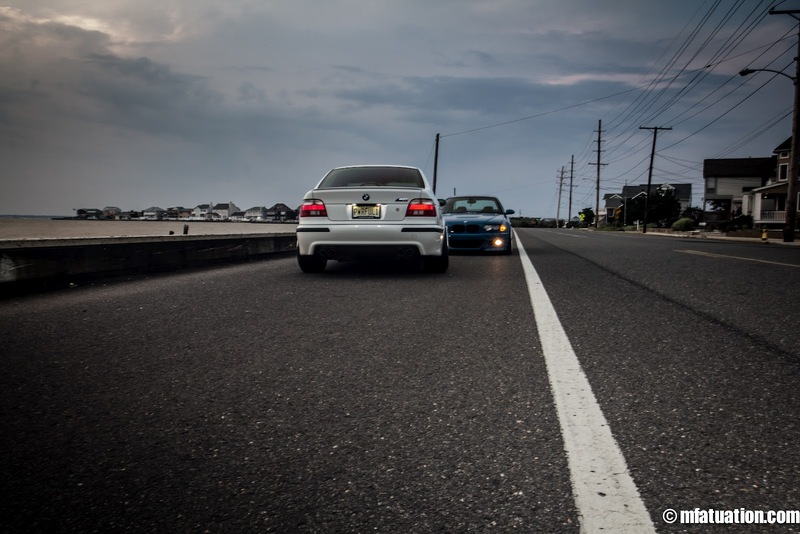 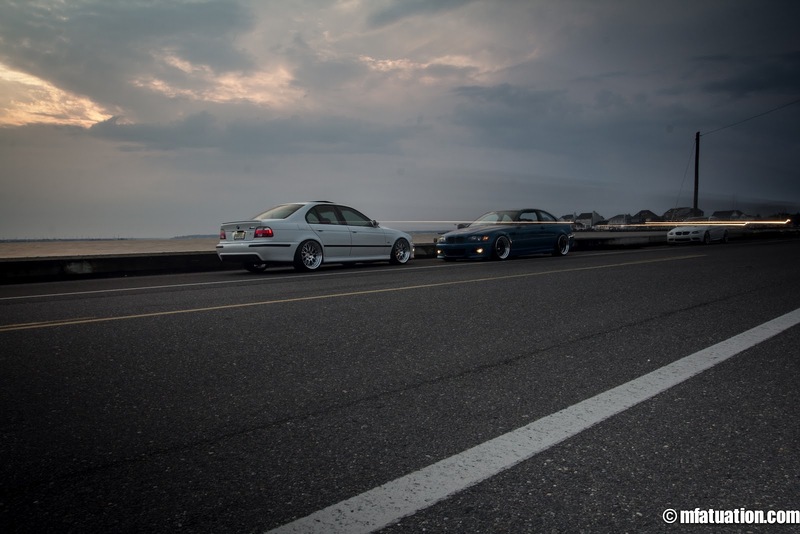 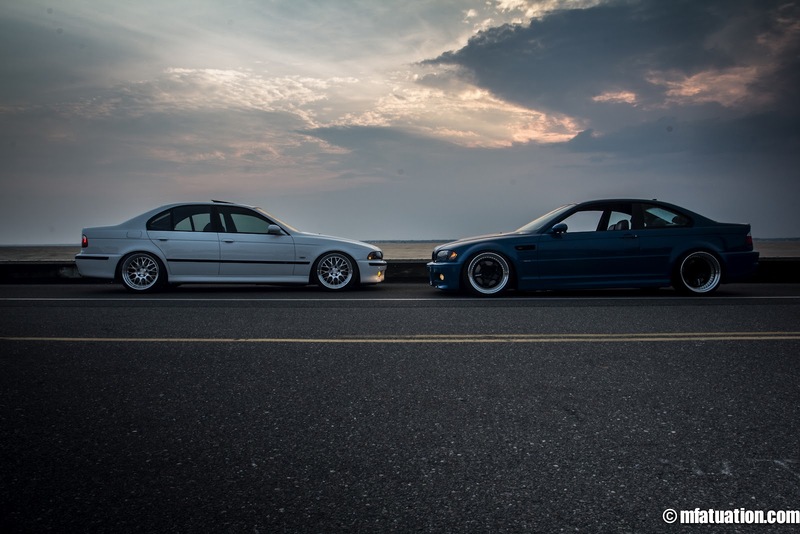 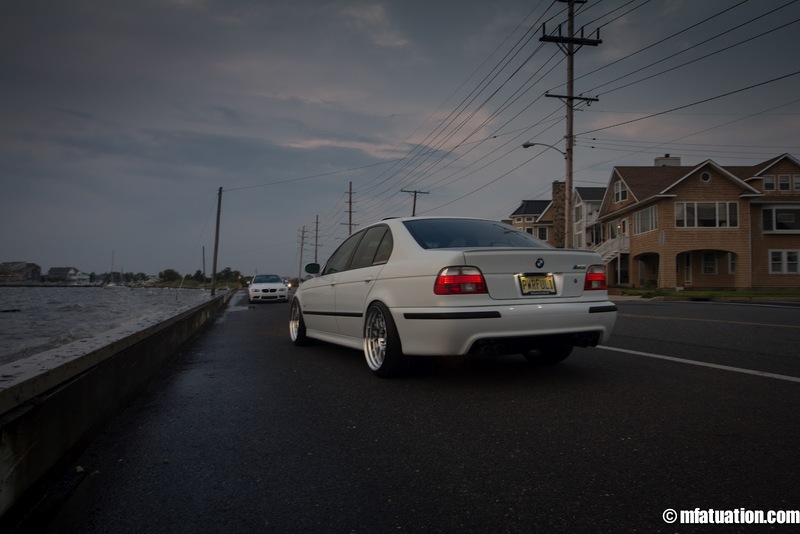 Matt, the owner of the neck snapping 2001 Laguna Seca M3, lowered his car on K Sport coilovers. 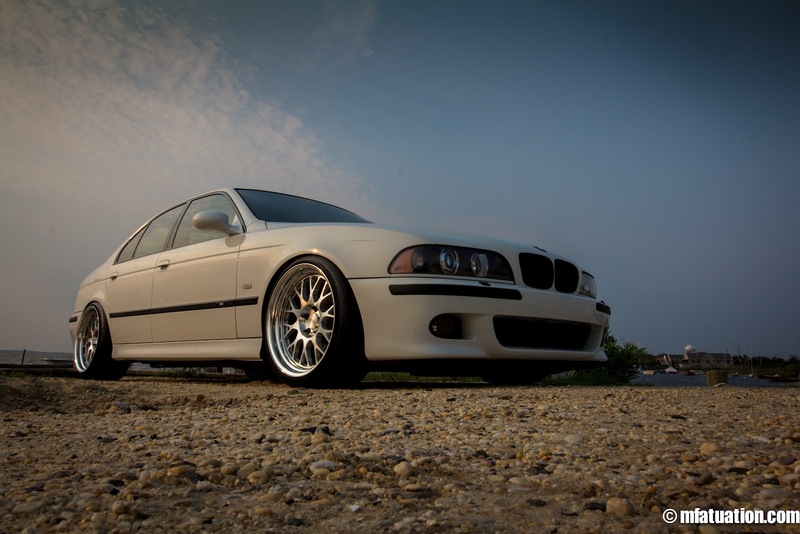 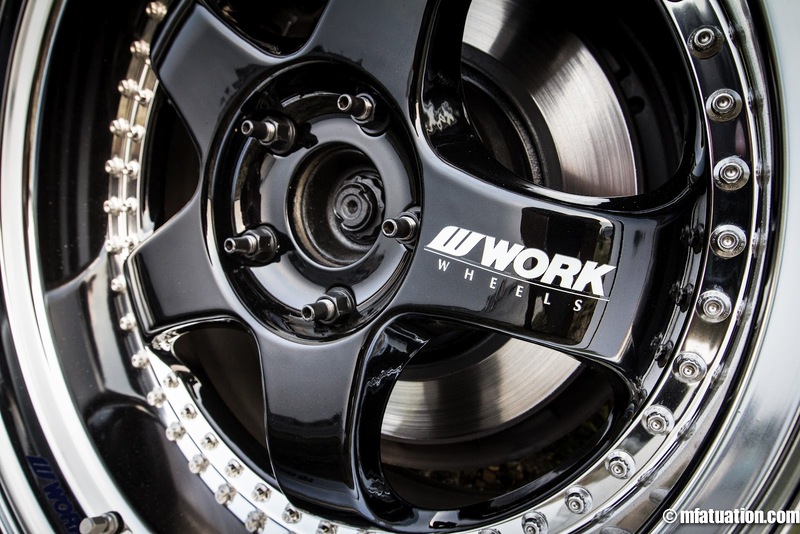 He just switched it up from running E9X M3 ZCP wheels, and made the 6 hour drive to New Hampshire to pick up a set of immaculate Work Meister S1 wheels in 19×9.5 et36 with a 5mm spacer and 19×11 et17 in the rear with a 7.5mm spacer. 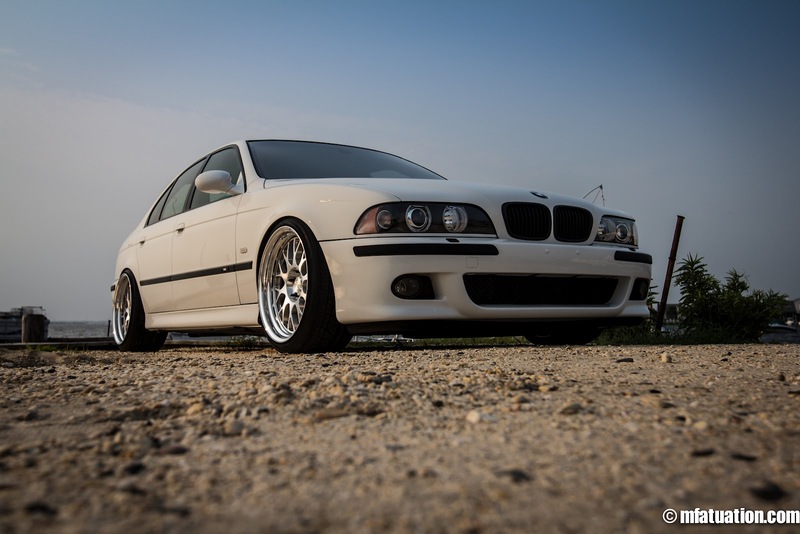 I had some reservations when he told me he was going with black faced wheels, but quickly changed my mind when I saw them in person. 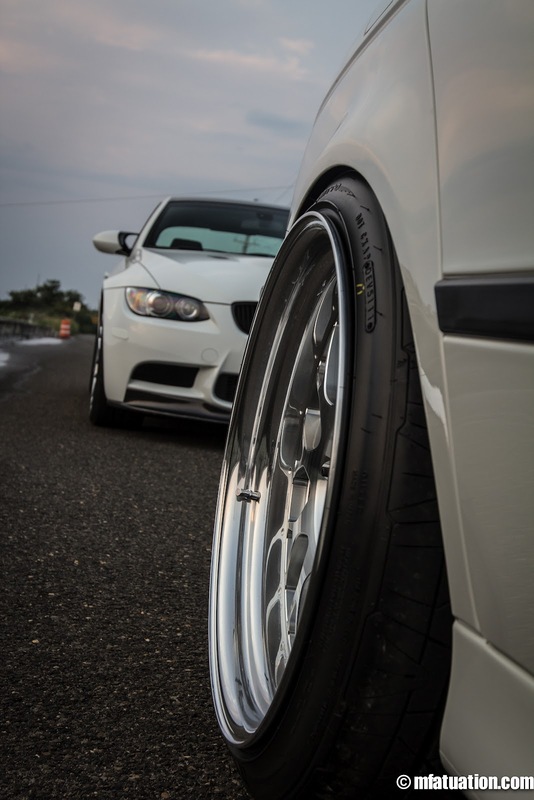 They were made for the car…. 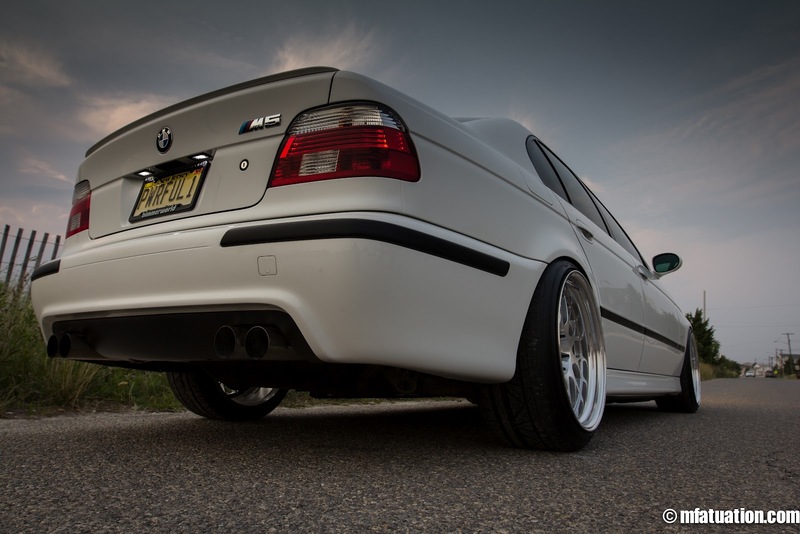 My Vanguard Performance Titanium exhaust tip worked its way loose from the system and was run over by a truck… Thus far I have been unable to get in touch with the manufacture to secure a replacement. 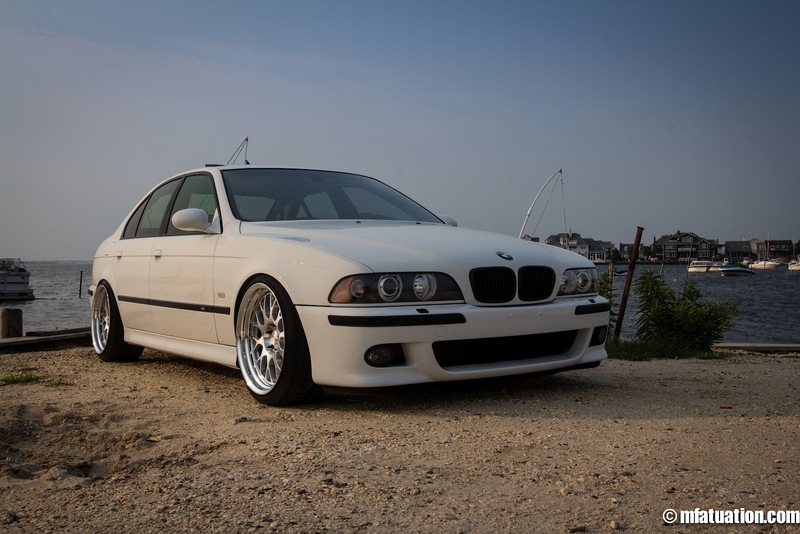 So it looks like I’m in the market for a new system. 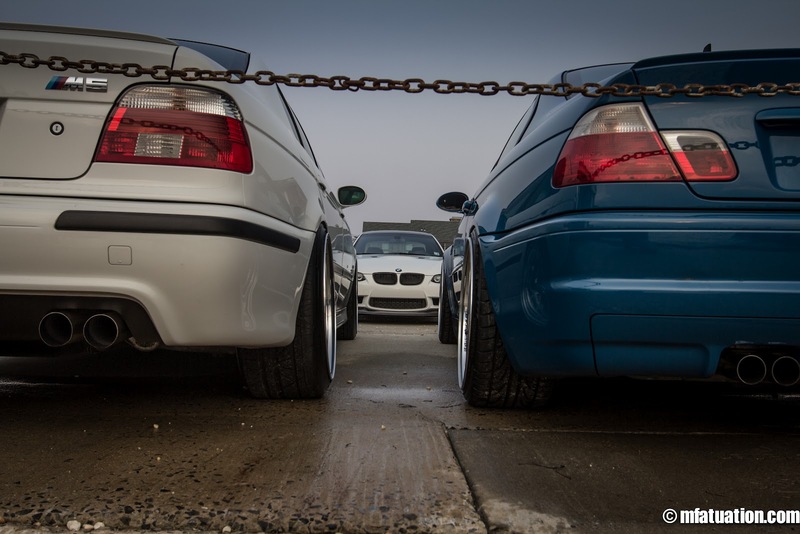 Active Autowerkes perhaps. 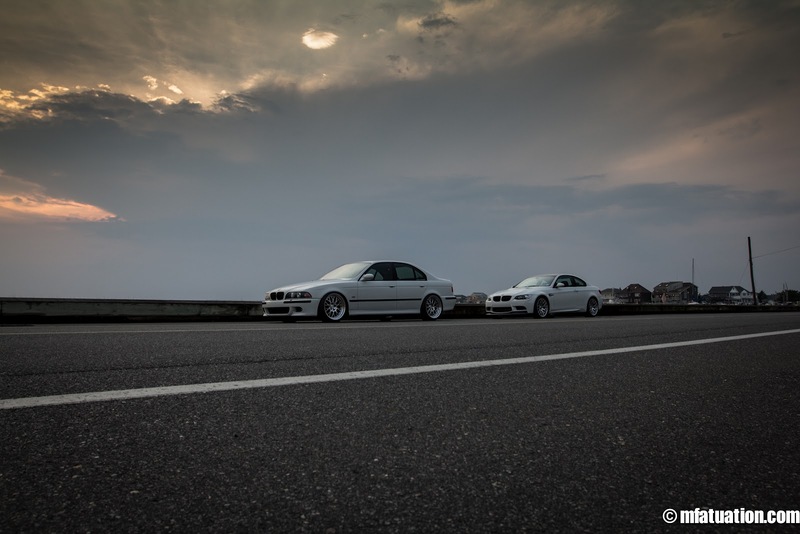 I had forgotten about these two videos that I took back in late 2010. 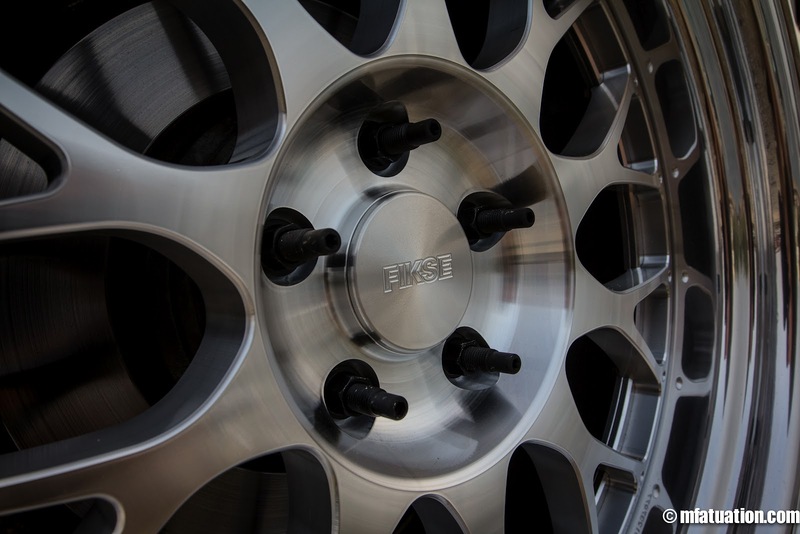 Just two quick dyno runs at Rogue Engineering. 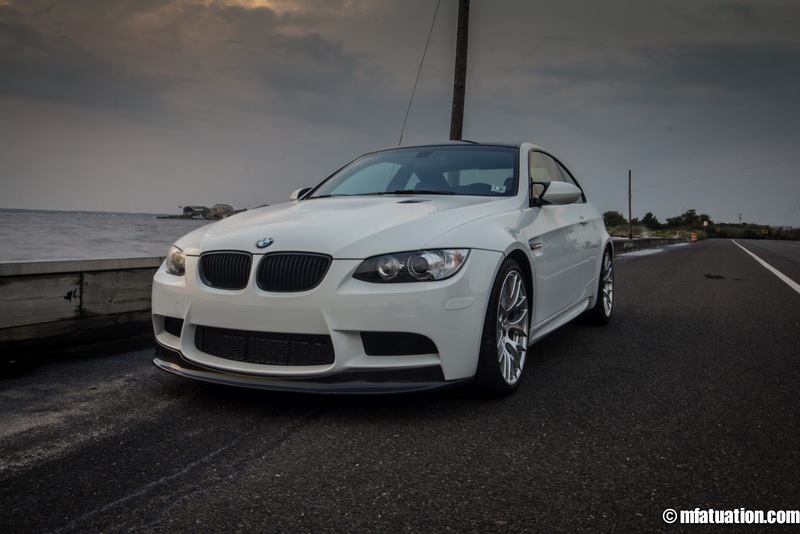 I put down 220.7 WHP on Rogue’s DynoDynamics dyno, with a pretty bad miss up top due to a faulty ignition coil. 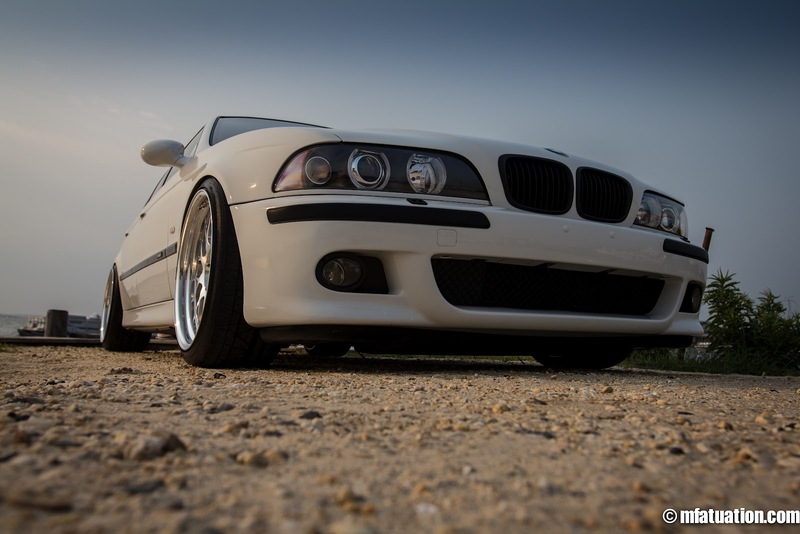 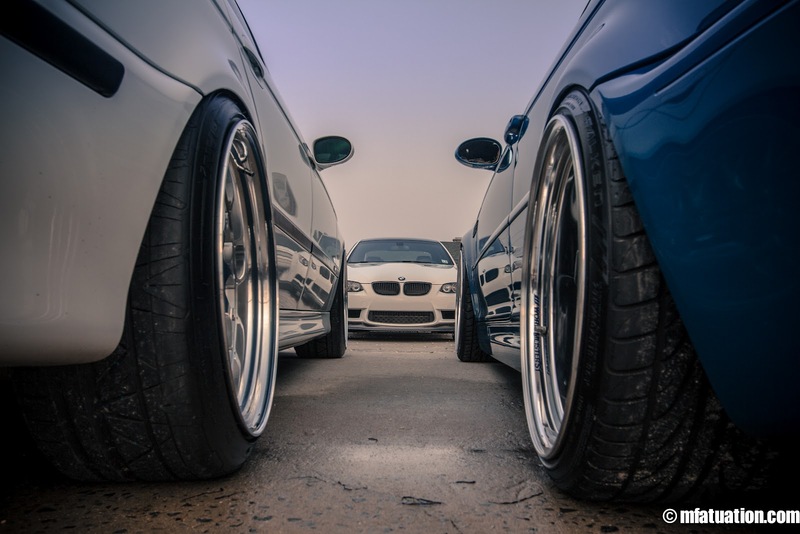 I ain’t even mad..
Greg’s E39 M5 laying waste to its tires.